Chris and Alexander are covering the 37th Vancouver International Film Festival. Beautiful landscapes and rugged adventurers abound as they discuss the Haida Gwaii-set Edge of the Knife, followed by a picturesque portrait of BC’s mountain ranges in This Mountain Life. They close the discussion with a quick rundown of other titles to look forward to at the festival, running September 27 to October 12. We'll have further episodes for you mid-festival. VIFF 2018 runs from September 27 to October 12. Chris and William are feeling down after watching Highway of Tears. The 2015 documentary examines the long history of missing and murdered women in northern BC. The issue remains relevant following Greyhound's decision to end its bus service in western Canada effective October 2018. 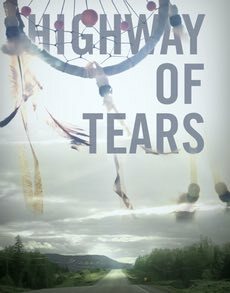 Highway of Tears is available to stream from the film's website. Find more information about that film and related ones on their respective IMDb pages: Highway of Tears, River of Silence and Zodiac.